Join us for Networking Night! 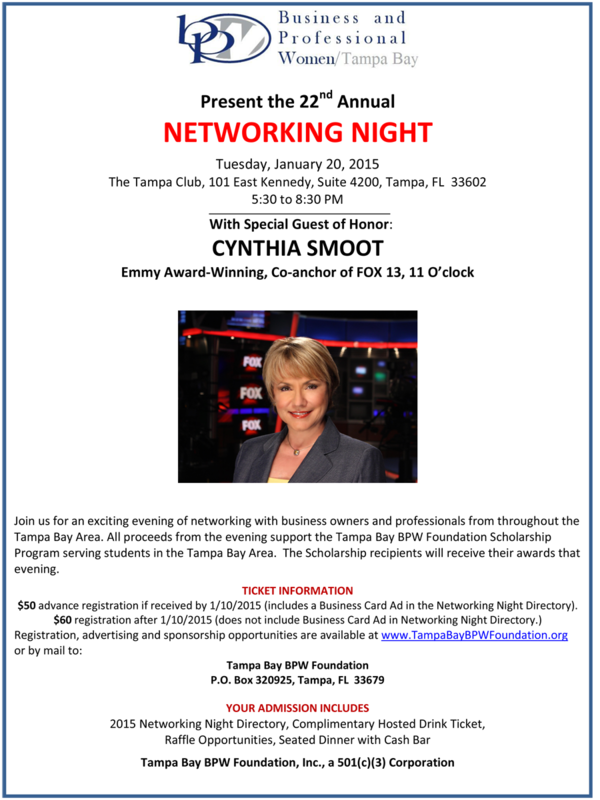 Tampa BPW is excited to announce that the Keynote Speech for the upcoming Networking Night on January 20, 2015 will be presented by FOX 13′ Cynthia Smoot! Cynthia Smoot is the Emmy award-winning co-anchor of the FOX 13 11 O’clock News. Copyright © 2014 Tampa Bay BPW Foundation, Inc.